In Texas, state law requires most people under age 25 to attend a state-licensed private driver education school to obtain a driver’s license. None of the schools accommodate deaf students. So a number of deaf students sued the Texas Education Agency (TEA) arguing it was required to bring the driver education schools into compliance with the Americans with Disabilities Act (ADA). Outer Limits of the ADA’s Applicability? : Must Police Officers Accommodate Mentally Ill Arrestees? Per the adoption of the Americans with Disabilities Act (ADA), accommodating persons with disabilities is the norm. Twenty-five years after the Act’s passage, the Supreme Court will decide whether it applies to police officers arresting a mentally ill suspect one who is armed and violent. In City & County of San Francisco v. Sheehan the Supreme Court will decide whether, pursuant to the Americans with Disabilities Act (ADA), police must accommodate a suspect’s mental illness when arresting him or her. The State and Local Legal Center’s (SLLC) amicus brief argues no because no conclusive evidence indicates that accommodating mentally ill suspects reduces injuries or the use of force. IMLA filed a separate amicus brief in this case making different arguments than those made in the SLLC’s brief. When police officers entered Teresa Sheehan’s room in a group home for persons with mental illness she threatened to kill them with a knife she held, so they retreated. When the officers reentered her room soon after leaving it, Sheehan stepped toward them with her knife raised and continued to hold it after the officers pepper sprayed and ultimately shot her. Sheehan survived. Title II of the ADA provides that individuals with a disability must be able to participate in the “services, programs, or activities of a public entity,” and that their disability must be reasonably accommodated. Sheehan argues that Title II of the ADA applies to arrests and that the officers should have taken her mental illness into account when reentering her room. Her proposed accommodations included: respecting her comfort zone, engaging in non-threatening communications, and using the passage of time to defuse the situation. 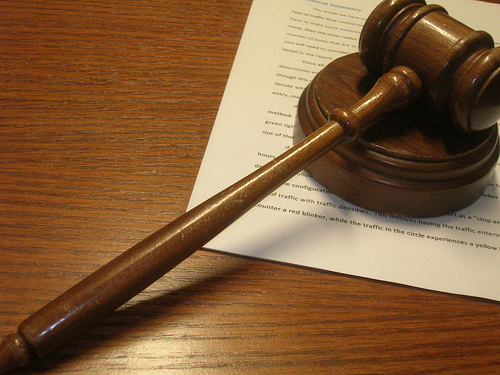 The Ninth Circuit agreed with Sheehan that Title II of the ADA applies to arrests. The ADA applies broadly to police “services, programs, or activities,” which the Ninth Circuit interpreted to mean “anything a public entity does,” including arresting people. The court refused to dismiss Sheehan’s ADA claim against the city reasoning that whether her proposed accommodations are reasonable is a question of fact for a jury. 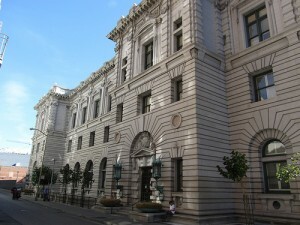 The Ninth Circuit refused to grant the officers qualified immunity related to their reentry: “If there was no pressing need to rush in, and every reason to expect that doing so would result in Sheehan’s death or serious injury, then any reasonable officer would have known that this use of force was excessive.” The Court will review the Ninth Circuit’s qualified immunity ruling. The SLLC’s amicus brief argues that the ADA should not apply to arrests. While few police departments have the resources to adopt specialized approaches to responding to incidents involving the mentally ill, no conclusive evidence indicates that these approaches reduce the rate or severity of injuries to mentally ill suspects. No one-size fits-all approach makes sense because police officers encounter a wide range of suspects with mental illnesses. And even psychiatrists—much less police officers who aren’t mental health professionals—cannot predict with any reasonable degree of certainty whether an armed suspect with a mental illness will harm himself or herself or others in an emergency. Finally, because the officers in this case could not predict whether Sheehan would harm herself or others if they did not reenter her room, they are entitled to qualified immunity. Orry Korb, Danny Chou, Greta Hanson, and Melissa Kiniyalocts, County of Santa Clara, California wrote the SLLC’s amicus brief which was joined by the National League of Cities, the National Association of Counties, the International City/County Management Association, and the United States Conference of Mayors. S. Kingstown Sch. Cmte v. Joanna S., No. 14-1177 (Dec. 9, 2014): The court ruled in Individuals with Disabilities in Education Act (“IDEA”) case that settlement agreement relieved school committee of obligation to perform or fund evaluations, and remanded to determine whether Joanna S. is entitled to attorney’s fees. Hardison v. Bd. of Ed. of the Oneonta City Sch. Dist., No. 13-1594 (Dec. 3, 2014): The court ruled, in IDEA case, that district court should have shown greater deference to state review officer’s determination to deny reimbursement. E.L. v. Chapel Hill-Carrboro Bd. of Ed., No. 13-2330 (Dec. 3, 2014): The court found that student did not exhaust her administrative remedies and that school board did not violate the IDEA; student received therapy mandated by her IEP. AGI Assoc., LLC v. City of Hickory, No. 13-2097 (Dec. 11, 2014): The court found that under North Carolina law, governmental immunity from equitable claims is waived when a county or municipality acts in a proprietary, not governmental, capacity. Does the ADA Apply to Arrests? The Fourth Amendment applies to arrests, no question about it. What about the Americans with Disabilities Act (ADA)? Specifically, do individuals with mental illnesses have to be accommodated under the ADA when being arrested? The Ninth Circuit said yes and the Supreme Court has agreed to review its decision in City & County of San Francisco v. Sheehan. When police officers entered Teresa Sheehan’s room in a group home for persons with mental illness she threatened to kill them with a knife she held, so they retreated. When the officers reentered her room soon after leaving it, Sheehan stepped toward them with her knife raised and continued to hold it after the officers pepper sprayed and ultimately shot her. Raspardo v. Carlone, No. 12-1686 (Oct. 6, 2014): In 1983 Title VII employment discrimination case brought by female police officers alleging hostile work environment and disparate treatment, the court affirmed denial of qualified immunity for one officer on hostile-work-environment claim, and reversed denial of qualified immunity for other officers. Sunrise Detox V, LLC v. City of White Plains, No. 13-2911 (Oct. 2, 2014): In case in which City denied request for facility to provide care for those recovering from alcohol and drug abuse because facility did not satisfy zoning requirements, the court affirmed district court’s determination that it lacked subject-matter jurisdiction over ADA suit. Suit was not ripe because applicant had not sought variance or appealed the zoning decision. Supreme Court and Local Governments: What Will the Court Accept Next? While the Supreme Court’s next term officially begins on October 6, its “long conference” is September 29. 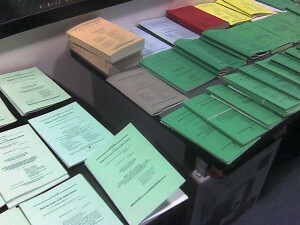 At this conference the Court will review a backlog of petitions that have been piling up over the summer. SCOTUSblog complies a list of petitions that it thinks have a reasonable chance of being granted. Eight of the petitions the Court will consider either during the “long conference” or at a later conference directly involve or impact local governments. Public nuisance. A Brighton, Michigan, ordinance presumes that an unsafe structure will be demolished as a public nuisance if the cost of repairing it exceeds its value. The owner has no right to repair the structure. Brighton property owners wanted to repair two unsafe structures even though Brighton estimated it would cost almost double the property value do so. In Bonner v. City of Brighton, Michigan, the property owners claim the ordinance violates substantive and procedural due process. Scheick v. Tecumseh Pub. Sch., No. 13-1558 (Sept. 2, 2014): In case in which Scheick contends that the school district did not renew his contract in violation of the Age Discrimination in Employment Act, the court reversed summary judgment for the school district . The evidence was sufficient to create a genuine issue of fact. Krause v. Jones, No. 13-2498 (Sept. 3, 2014): The court affirmed finding of qualified immunity for officers in excessive-force case. F.H. v. Memphis City Schools, No. 13-6323 (Sept. 4, 2014): The court reversed dismissal of student’s 1983 and contractual claims arising out of alleged neglect and abuse; neither settlement agreement nor IDEA barred claims. Holt v. Town of Stonington, No. 12-4878 (Aug. 29, 2014): The court found that plaintiff who challenged Town’s restrictions on her ability to build on her property failed to exhaust administrative remedies as required by Connecticut law. Penn v. Escorsio, No. 13-2309 (Aug. 22, 2014): The court affirmed the district court’s denial of qualified immunity at the summary judgment stage to corrections officers alleged to be deliberately indifferent to risk that detainee could commit suicide. The court found that the issues presented on appeal were purely factual, and the court had no jurisdiction to decide them on interlocutory appeal. On Monday, IMLA filed its brief in City of Newport Beach v. Pacific Shores Properties, LLC, a petition stage Supreme Court case, which involves questions of discrimination under the Fair Housing Act (FHA) and the Americans with Disabilities Act (ADA). 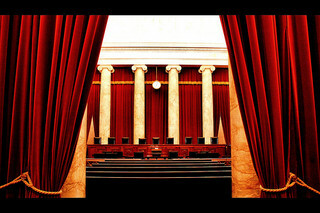 Specifically, the issue before the Supreme Court is whether a disparate-treatment claim under the FHA and/or the ADA that challenges a facially nondiscriminatory law on the ground that the law nevertheless intentionally discriminates on the basis of disability can prevail absent proof of discriminatory effects. Carter v. Inc. Vill. of Ocean Beach, No. 13-815 (July 21, 2014): Affirming award of attorney’s fees to County defendants in case brought by former police officers alleging wrongful termination and defamation. Cox v. Onondaga Sheriff’s Dept., No. 12-1526 (July 23, 2014): Affirming dismissal of complaint alleging Title VII retaliation for racial-harassment claims. Reyes v. New York City Dept. of Ed., No. 13-158 (July 25, 2014): Finding that under IDEA, proposed IEP and school placement failed to provide student with free appropriate public education. Cady v. Walsh, No. 13-2040 (June 4, 2014) (finding that the court lacks subject-matter jurisdiction over interlocutory appeal in qualified-immunity case). Kagan v. City of New Orleans, No. 13-30801 (June 2, 2014) (affirming summary judgment for City in First-Amendment challenge brought by tour guides who objected to City licensing requirement). Morgan v. Swanson, No. 13-40433 (June 3, 2014) (affirming grant of qualified immunity to school principal who prevented parent from distributing religious materials to other adults at school party; this substitutes for earlier opinion). Sherman v. Town of Chester, No. 13-1503 (May 16, 2014) (ruling that takings claim against the Town was ripe because seeking a final decision from the Town would be futile and because Town had removed case to federal court). Morales v. City of New York, No. 13-2126 (May 16, 2014) (affirming dismissal of complaint against City alleging malicious prosecution, abuse of process, deprivation of right to fair trial, and deprivation of constitutional rights on account of race and color). Disabled in Action v. Bd. of Elections in the City of New York, No. 12-4412 (May 14, 2014) (affirming that City Board of Elections violated Section 504 of the Rehabilitation Act and Title II of the ADA by failing to provide people with mobility or vision disabilities with meaningful access to voting program). Rorrer v. City of Stow, No. 13-3272 (Feb. 26, 2014) (reversing grant of summary judgment to City and against plaintiff, a terminated firefighter with a non-work-related injury, on ADA claim; affirming grant of summary judgment for City on First Amendment and ADA retaliation claims). Bryant v. City of Chicago, No. 13-1142 (Feb. 28, 2014) (in appeal of dismissal of civil-rights suit as untimely, finding that district court abused its discretion by disregarding plaintiff’s timely discovery request and that court should have equitably tolled the statute of limitations). M.R. v. Ridley School District, No. 12-4137 (Feb. 20, 2014) (finding under Individuals with Disabilities in Education Act that for “stay put” period: (1) school district must reimburse parents for private-school costs even if parents do not file a claim for payment until after a court has ruled for the school; and (2) the parents’ right to interim funding extends through the time of judicial appeal.). Henschel v. Clare County Road Commission, No. 13-1528 (Dec. 13, 2013) (in ADA claim brought by individual not permitted to return to work after accident, reversing grant of summary judgment to road commission because genuine issues of material fact remained about whether individual was qualified). Jones v. City of Elkhart, No. 12-3912 (Dec. 12, 2013) (affirming grant of summary judgment for City because officers had probable cause for arrest). Omnipoint Communications Inc. v. City of Huntington Beach, No. 10-56877 (Dec. 11, 2013) (finding that City initiative requiring voter approval for leasing of certain city property not preempted by the Communications Act). See our coverage here. Brumfield v. City of Chicago, No. 11-2265 (Nov. 6, 2013) (finding that Title II of the Americans with Disabilities Act does not apply to public-employment discrimination claims). See our coverage here. Balthazar v. City of Chicago, No. 12-3378 (Nov. 8, 2013) (affirming dismissal of 1983 action against officers for alleged unreasonable apartment search after mistaken opening of wrong apartment). See our coverage here. Does Title II of the Americans with Disabilities Act apply to employment-related discrimination claims, even though Title I of the Act specifically addresses such claims? Answering this “question of first impression” in the circuit, in Brumfield v. City of Chicago, No. 11-2265 (Nov. 6, 2013), the Seventh Circuit today joined the Ninth and Tenth Circuits in concluding that Title II does not extend to employment-discrimination claims. Such claims must be brought under Title I. The court determined that because, read in context, Title II unambiguously does not reach employment-discrimination claims, the court need not defer to the Attorney General’s rule to the contrary. The court acknowledged that the Eleventh Circuit has reached the opposite conclusion, but the court found that circuit’s analysis unpersuasive.